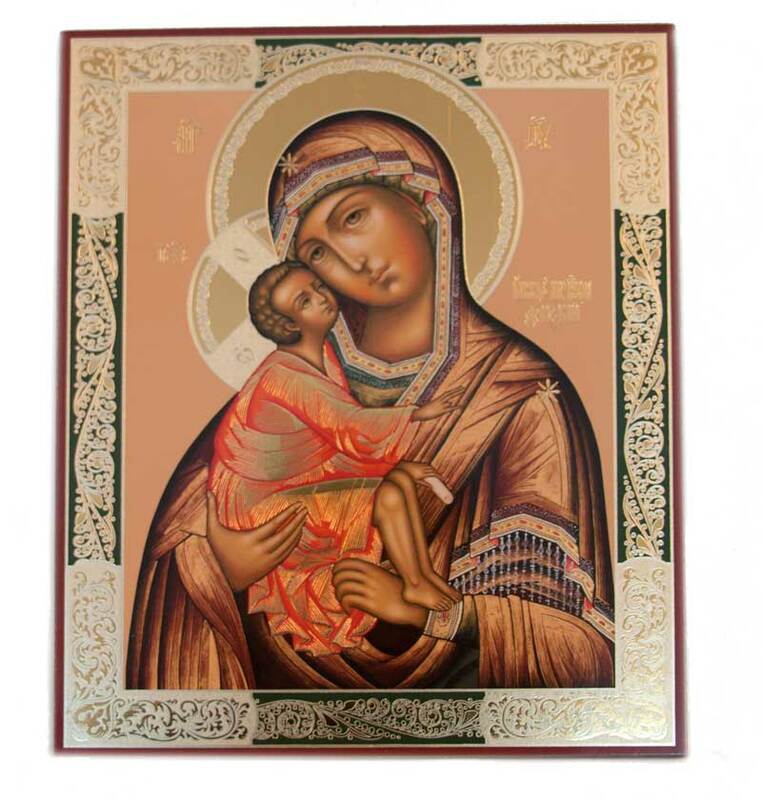 Icon Our Lady Donskaya is made in Sofrino church factory, this is in Moscow region. Image of the icon is made in high-quality polygraphic with double layers of metallographic printing. It is pasted to the wood or plywood plate basis.